Insulator Shows (2005 Eastern Regional) > "Great walk in"
Pow!! Check out that thing! No way I could afford it, but it was a pleasure to hold and photograph. 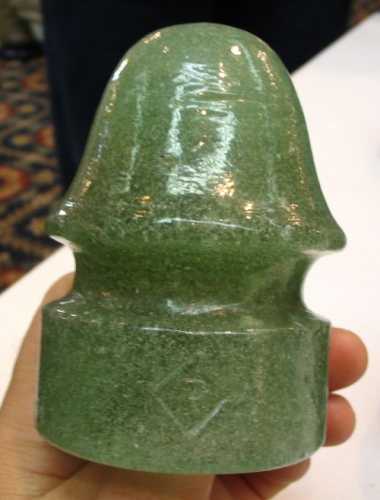 Ugliest insulator i've ever seen in my life. ;-) The gal purchased it in the back of a shop for the massive sum of $20.